Some more work in progress pics. 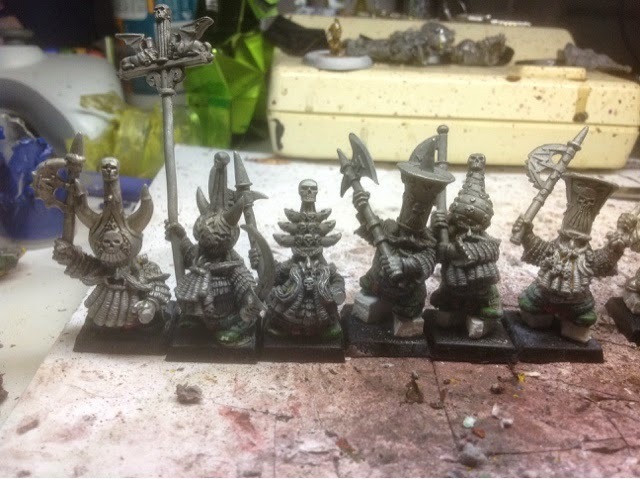 The bull centaurs have legs and lower bodies donated from the old one piece plastic chaos dwarf. I am using my Dremel to saw through the bodies to fit and then green stuff for the armour. 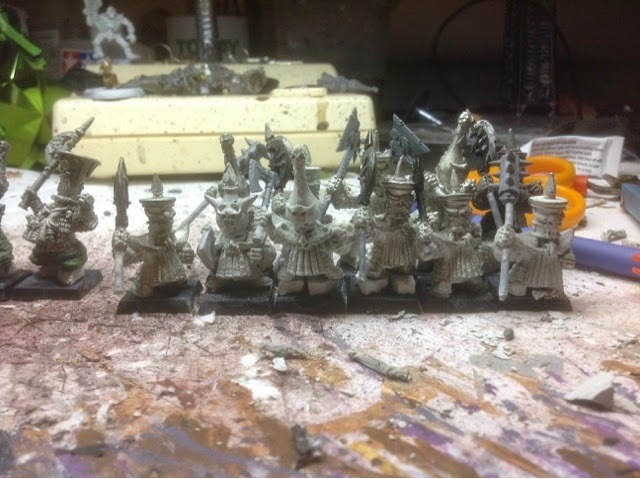 I leave the green stuff for about 30 minutes and then rolled over another chaps dwarf to get the pattern of the armour. Turns out ok but will be hidden as it is only the end of the armour pattern which is seen. Next up is further work on the ironsworn with a combination of great weapons and hand weapons. They are a bit difficult to rank up hence I have them on various heights. The next couple of great weapons will be a little shorter to assist.